This week I am continuing my series, Hear the Esther Generation, which spotlights the voices of twenty-something women. Today I am SO pleased to introduce you to Julianne Clayton, who I had the pleasure of meeting back in February. 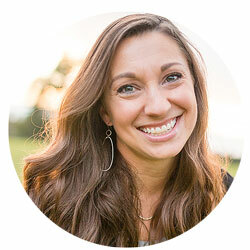 Julianne is a writer, speaker, and pastor’s wife with a background in student ministry. She and her husband, Brad, live in Tallahassee, FL. You can connect with Julianne through her personal blog, or on Instagram, Facebook, and Twitter, and I hope you will. I can tell you from personal experience that she is AWESOME. So join me in welcoming Julianne! I have asked, and have been asked, this question numerous times when studying Luke 10. My answer differs, depending on the season God has me in, but I usually leave the story feeling more convicted to cultivate space for rest, Sabbath, and time with Jesus. However, while reading through this passage recently, I became convicted in a new way. I realized that for years, I missed the example Jesus set, because I didn’t start with him. I always put Mary and Martha center stage, while Jesus played a nice supporting role. But when I read this passage with the spotlight on Jesus, it challenged me to consider a different question than whether I am Mary or Martha. Instead, I began to ask, “What does Jesus do?” When Martha scolded Mary for sitting at Jesus’ feet, Jesus had a different perspective. He said that the time Mary was spending with him, time for being in His presence and ceasing from worry and work, was better, and that it would not be taken from her. The busy. The accomplished. The full-scheduled. The multi-tasking. The “I don’t know how she does it” woman. The burned out. This is the standard we feel we must live up to. This is who we feel we have to be. If everyone around us is working hard and has a full schedule, then we need to be working hard and have a full schedule. And if by some miracle, we have a chance to stop and breathe and be at Jesus’ feet, we feel like we shouldn’t. Because nobody else does. And we have to keep up. But Sabbath is not a luxury – it’s a necessity. And rest is not weakness – it’s humility. And yet, most of the time, rest and Sabbath just don’t seem to fit. We must encourage others to rest. 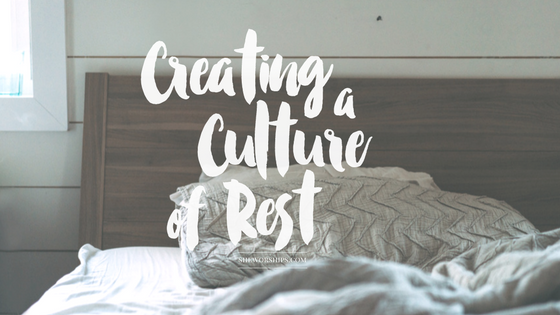 In order to follow Jesus’ example, we not only need to be pursuing Sabbath personally, but we need to be affirming the pursuit of rest and Sabbath in others, too. For me, it’s easier to do pretty much anything when I know others are right there with me. When my friends and family encourage me to embrace rest and Sabbath, I am more likely to keep at it, and the struggle of pride starts to subside. That’s what I want to do for the people around me. Yes, I want to encourage them in their good work and accomplishment and ministry, but I also want to encourage them when they are taking a break and practicing Sabbath. I want to combat the tendency to affirm the busy, and instead affirm the balanced. It’s an example Jesus set, and one that I feel called to follow. Will you join me? Yes, I want to join you in this! You are dead on when you say how much we need rest. I tend, like many, toward the too busy, and God has called me to set aside time to rest. I don’t do it well enough, but I’m growing. 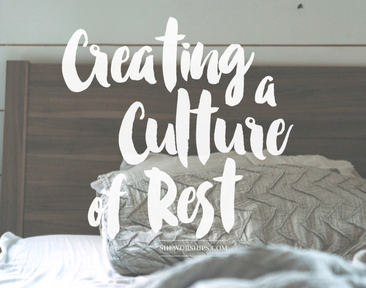 Rest is so Key to living into the life and calling God has for us–and yet it is so minimized in our culture. Jesus’s call to rest is an excellent reminder. So convicted! “In my own life, the main reason I avoid rest and Sabbath is pride.” Ouch. Thank you for this, ladies. I often wonder about the Mary/Martha story. Because Martha’s work will still be there if she joins Mary. No-one else will pick up the work because she decides to sit with Jesus. Unfortunately that continues on the same today. So many partners do not pull their weight around the house that we have to both spend time with Jesus and do the work. Frustrating! I write a lot about rest and believe it is as necessary as breathing. And I love trying to look at things from Jesus’ perspective–what a helpful reminder. But the words “sit at Jesus’ feet” are not simply about resting, or lack of labor. That phrase was used to describe someone who was learning, as a disciple. They’re not just resting, they’re actively engaged in learning, discussing, exploring truth with their rabbi. Which women in that day were not allowed to do, normally. Jesus is inviting Martha away from traditional “women’s work” and into the circle of disciples (where Mary has already found her place). Jesus issues a radical invitation to Martha–toss of the expectations of your culture, and be free of the restrictions placed on your gender. I think he still extends that invitation to women today! 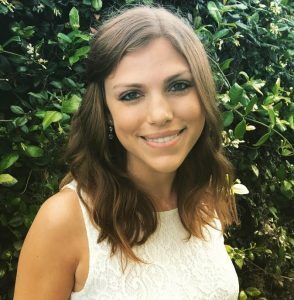 Keri – What an interesting note about sitting at Jesus’ feet! I love that even more. Thanks for sharing!